2 Pipe Combo Bag with Removable Special Rubber lined Tobacco Pouch. 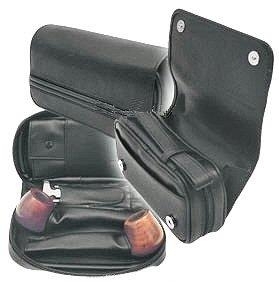 Has lots of pockets for all your pipe accessories. Includes handy removable Carrying strap and magnetic button closers.